The International Federation of Knitting Technologists IFKT/IFWS has appointed Hitesh Kumar Sharma as its as new president for United States National Section. He has been with the organisation since 1999 and elected first time president in November 2016 for US National Section. The International Federation of Knitting Technologists was founded in 1956. 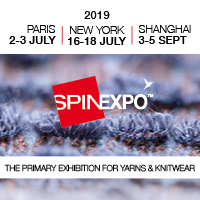 It was conceived to “establish friendly ties between works managers, technicians and knitting specialists from different countries and thus promote the general interests of the knitting industry and its further technical development”. The organisation holds annual conferences, termed International Congress, since 1958, with the first one dating back to 1956. Countries that organised International Congresses so far are Austria, Belgium, Bulgaria, Croatia, Czech Republic, Germany, Great Britain, France, Hungary, India, Israel, Italy, Poland, Russia, Spain, Sweden, Switzerland, and the US. Today, the International Federation of Knitting Technologists has representation in Austria, Bulgaria, Croatia, Czech Republic, Germany, Hungary, Israel, Italy, Poland, Romania, Russia, Slovenia and Switzerland. In addition, there are individual members in Canada, Egypt and Taiwan.